Who will be the first in line? 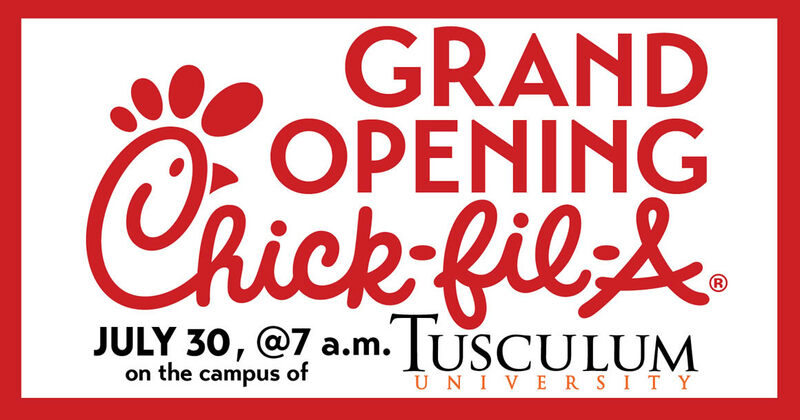 Chick-Fil-A ® Grand Opening will be July 30 at 7:00 am on the Tusculum University campus. The event is open to the public!